Back in 2009, you may remember that we reviewed the awesome Border Break. Well, it finally seems that after nearly a decade the game will be getting a console port on the PS4. Not only will the game support mouse input, along with DualShock 4, it will also have an all-new story mode. 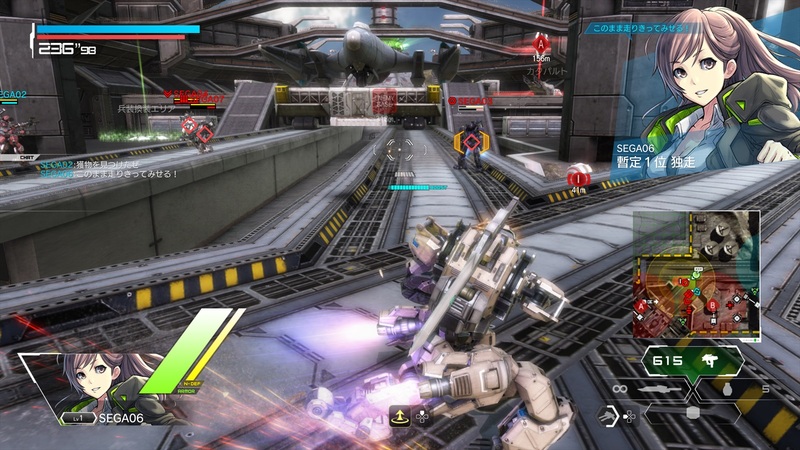 The console version of Border Break will also come in two major flavors; an online free-to-play version and a boxed release with most of the content included. The free-to-play setup is actually not that far from how the game currently works in the arcades, so it will be interesting to see how it does. While there is no news yet on when this PS4 version of Border break will be released, there are plans for an open-beta sometime in February. It is also worth pointing out that the game is currently only slated for a Japanese release but considering the fact that the PS4 is region free means you will still be able to easily import and play the game. Wow talk about blast from the past, I remeber wanting to play this back then, I forgot how the game plays now, this place still seems to be the best place for english translation of how the game works. I watched some of the videos for the PS4 version, but here are my questions. Do I need PS Plus to play this? If so how does that work, because would you need to buy PS Plus for your japanese account as well? This is a free 2 play game right? Sorry I don’t have a PS4 but with this and a few other decent games, it looks like it’s time to invest in one.